When you think of Rambo, you probably think of a musclebound Sylvester Stallone wielding a machine gun at foreigners and mowing down everyone in sight. That kind of sums up the three sequels and made Rambo a macho figure of American strength in pop culture during the Reagan era and beyond. Ronald Reagan even cited Rambo in several of his speeches. However, John Rambo’s original film First Blood based on the acclaimed novel by David Morrell paints its main character as a sad and tragic figure. In honor of Veterans Day I selected a film that illustrates the harshness of the veteran experience and one that commemorates our men and women in the military with a high degree of honor and respect for what they have sacrificed. In First Blood Rambo is a face of the devastating effects that war can have on its veterans when they come home to a country that does not welcome them. Even though he is fortunate to have survived the horrors of the war in Vietnam relatively intact with all of his limbs, beneath the physical scars we see on Rambo’s back, we learn that he has much deeper emotional scars that may never heal. 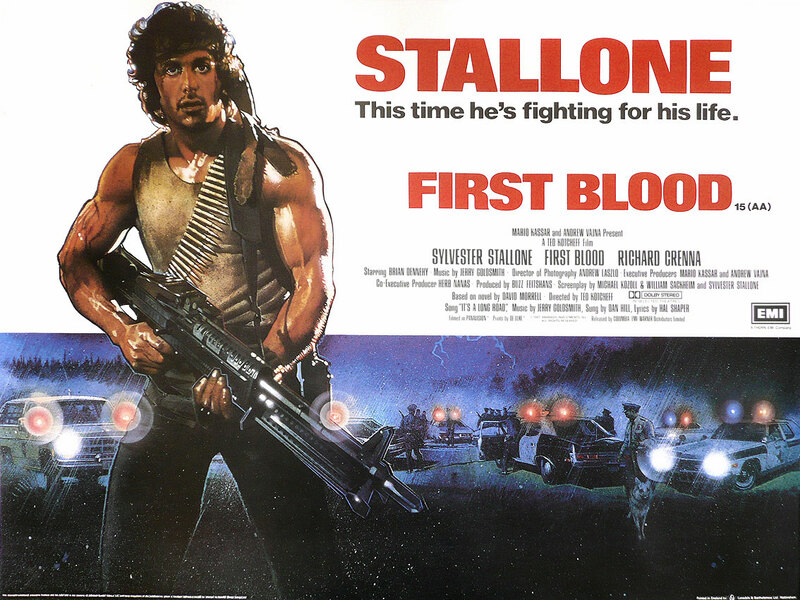 First Blood is often forgotten as a powerful film because most of its sequels abandoned the wounded warrior character in order to make Rambo an invincible killing machine loner. This is a shame because First Blood is a strong testament to the emotional pain we often overlook from people that have gone to war to protect our freedom. It also features one of the best performances from Sylvester Stallone and Brian Dennehy is great as the stubborn sheriff who will not back down. This veterans day give First Blood a chance to honor our veterans and see a smart film that depicts struggles many soldiers have to deal with that never really go away. First Blood is currently available to stream on Netflix. Check out the trailer below.